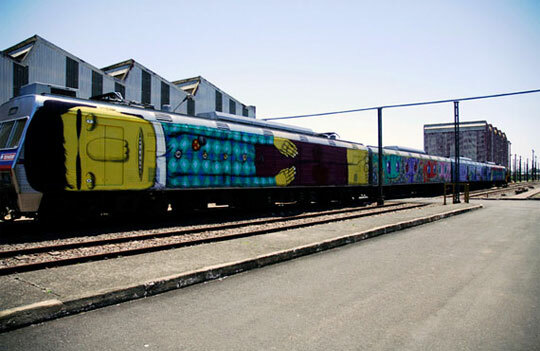 If you are into street art, you most likely know about Os Gemeos, from Brazil. 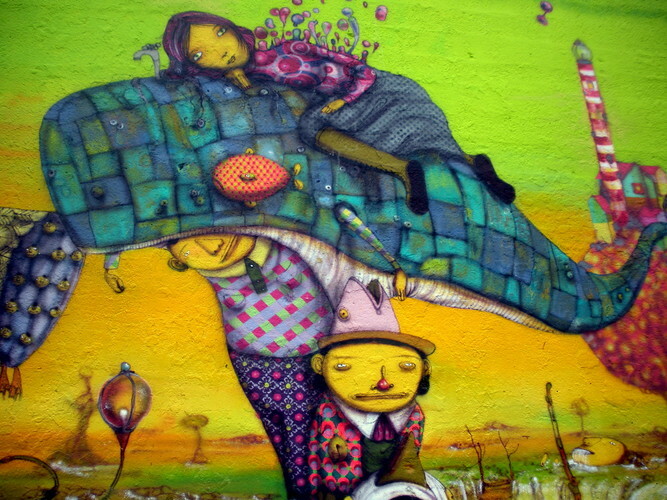 They (a two person team consisting of twins, or Os Gemeos in Portugese) have such a unique style that is representative of Brazil, which is a large player in the international (and online) art community that they have very large commissions all over the world. They have done solo shows all over the world and they have been featured in just about every major blog or magazine that publishes street art and graffiti as well. 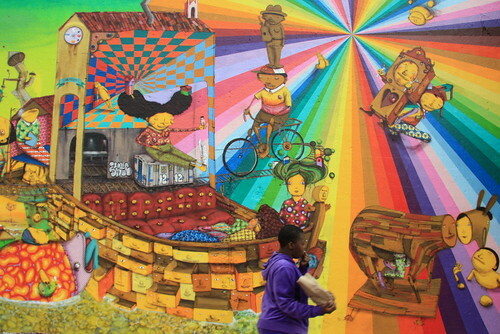 They have plenty of exposure, but there are a lot of people unfamiliar with the street art world don't know of them. Their signature style of portraying their characters is so strong that once you've seen their work, you will recognize it the next time you are confronted with it. They usually paint yellow people with elongated arms, enlarged heads and they consistently use pattern on the clothing of these characters. Enjoy and keep an eye out!